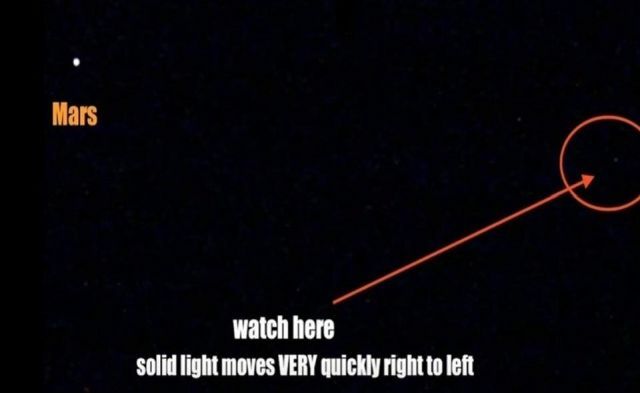 On June 24, 2018 a sky watcher while recording Mars in the SSW sky he noticed something else that was moving at a very high rate of speed. Despite that the object is probably at a distance from Mars, it is not likely that it would be a satellite since it moves too fast and it not follows a straight flight path like satellites do. If you look carefully at the unknown object it rotates and it changes colors too.